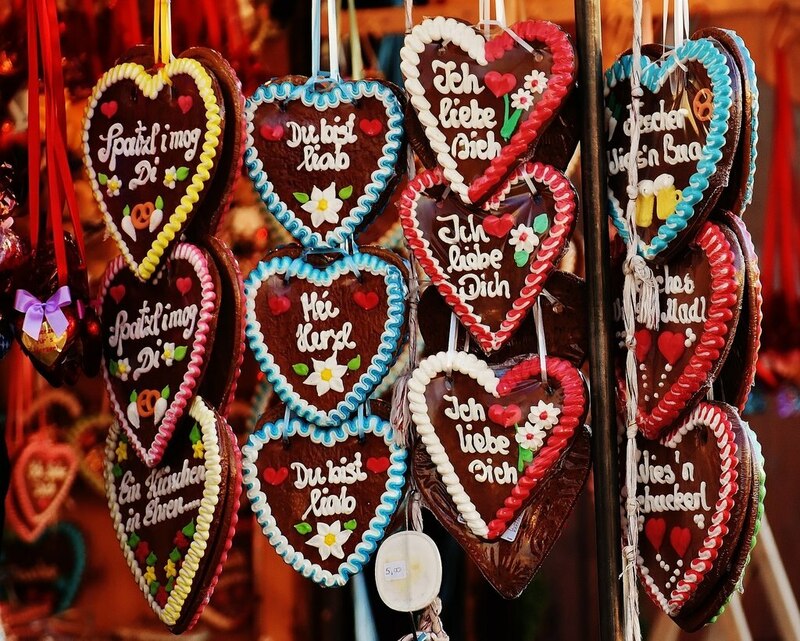 Contrary to popular belief, Oktoberfest - Wiesn, to the locals - is not only about beer. Sure, there's plenty of beer involved, but this popular festival is, in fact, the world's largest funfair, attracting some 6 million visitors every year. There are various Oktoberfest festivals that take place throughout Europe, but the original (and best!) takes place annually in Munich. 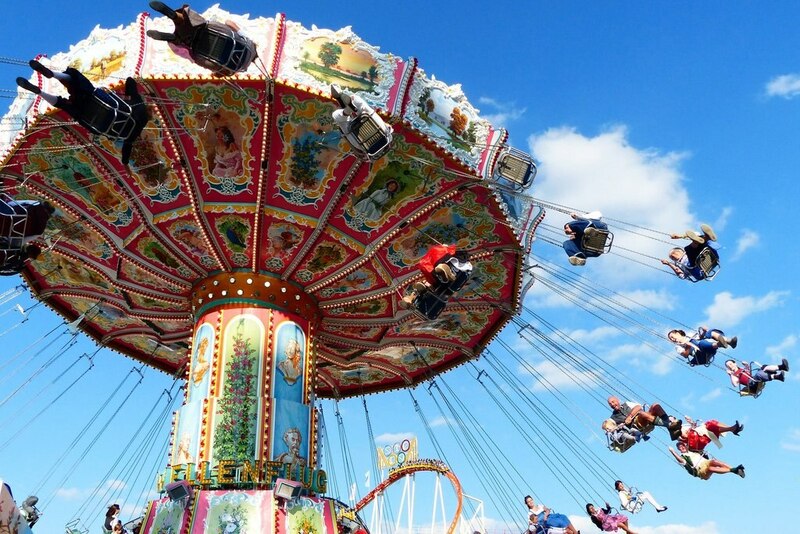 The 16-day festival of Bavarian culture, with its famous fairground rides and beer tents, dates all the way back to 1810. If Oktoberfest is on your travel bucket list (and it should be), make sure you read this essential survival guide before you go. Whether you're visiting for a quick trip to Munich or a longer stretch, this guide will ensure that your trip is packed full of great experiences - and that you survive to remember them. Also make sure to check out our best Oktoberfest deals! When and Where Is Oktoberfest? You'd be forgiven for thinking that Oktoberfest is something that takes place in October - a common mistake. In fact, the festival begins in September and ends on the first Sunday of October; a good thing to know before you plan your trip! This year, the festival commences on Saturday, 22 September, and runs through to 7 October - a whole 16 days of merriment. The festival is located on a big field, Theresienwiese, which is near to Munich's city centre. From Hauptbahnhof (Central Station) you can simply follow the huge crowds to the beer tents. The Theresienwiese U-Bahn station is also an option, but it's best to go early if you're using that route, as it can get incredibly busy during the day. Now that you know the basics, here are some crucial tips for getting the most out of your Oktoberfest experience. This year's Oktoberfest will have 14 tents to choose from, each offering a different festival experience. It's a good idea to read up about all the tents to find the ones that work best for you. If you want to visit every tent, it would be best not to try and do it all in one day; spread the adventure out over a few days instead and make the most of your time at each location. Here are three of the most popular tents that you should try and include as part of your Oktoberfest experience. This is perhaps the most important tent of them all, as it's the place where everything kicks off. Here, the mayor of Munich officially begins the festivities at noon on the first day of Oktoberfest by tapping the first keg of beer and calling out "O'zapft is!" After the that, the other tents may start to serve beer. Schottenhamel is the largest tent at the festival, seating some 10,000 people, and it's a popular place to drink and party throughout Oktoberfest. This tent is easily recognisable even at a distance because of the giant rotating beer mug on its spire. Run by the popular Paulaner brewery, the Winzerer Fähndl is known for its relaxed atmosphere that lends itself to an extended stay in the tent. Get comfortable and have a great time! It's a perfect meeting spot for locals and tourists alike, and it's also meant to be a good place for spotting celebrities. Food lovers, take note! This is the tent for you. At the entrance you'll see a huge ox roasting on a spit, giving you a hint as to what this tent is all about. Here you can sample a mouth-watering variety of ox dishes. The delicious food combined with beer and music from the brass band might inspire you to set up camp here for a long time. Raise your glasses and join the locals and tourists in spirited singing as you drink and party the day away in this popular tent. If you're visiting Oktoberfest with a large group and you want to make sure you can all stay together, it's a good idea to try and reserve a table in one of the tents in advance. With a smaller group, you should be able to get a seat together more easily on the day, but it's a good idea to get there early to increase your chances. The weekends and the evening hours are particularly busy. Access to the tents is free and while it's great to have a seat, you probably don't want to stay in one tent the whole time, particularly during the day when it's great to wander from tent to tent, sampling the different beers. If you find a tent with a good atmosphere, it's worth waiting around until a seat opens up. The Bavarian crowd and the tourists visiting this festival have a reputation for being very friendly, so it shouldn't be too difficult to sort out a good seating arrangement. You're at Oktoberfest, so you might as well get into the spirit of it. As you've probably guessed, music is a big part of that spirit. Everything from traditional German folk music to popular international hits will be pumping at the festival, ensuring a wonderful party atmosphere. One drinking song you're sure to hear many times is "Ein Prosit", which is played at least hourly, and you'll be expected to stand up and toast those around you while singing your heart out. If you learn the words beforehand, you'll have even more fun joining in with the locals. You'll see men and women dressed in traditional lederhosen and dirndl at Oktoberfest, and while it's not essential to wear these outfits, they certainly do add to the experience and can be particularly fun if you're attending in a group. Singing German songs while wearing traditional clothing is a sure-fire way to get yourself into the spirit of things. For those who arrive early, many tents offer a traditional German breakfast, and you might be tempted to wash it down with a beer. Be aware that the beer is served in one-litre glasses (Maß) and can be stronger than the beer you're accustomed to drinking, with most containing around 7% to 9% alcohol. Pace yourself. A good idea would be to start the day with a shandy (Radler) rather than consuming the stronger stuff right away. A quick look around any tent and you'll see those who have had one (or more) too many drinks. You don't want to join them. Things can go downhill fast if you're not careful, and you might end up ruining the party of a lifetime for yourself and your friends. Make sure that you take your time, rest every now and then, explore the attractions outside of the beer tents and make sure you're eating, not just drinking on an empty stomach. The amazing food, including succulent roast chicken (Hendl) and pork knuckles (Schweinshaxe), is as much a part of the festival as the beer, so don't miss out. Responsible drinking will not only make your festival experience more enjoyable, but you'll also be more likely to remember it afterwards - and you'll save money. The cost of all that beer can add up quickly if you're chugging it back rather than savouring it. Remember: it's a marathon, not a sprint! As we've said before, Oktoberfest isn't just about the beer, and if you're visiting the festival for a few days, you're going to need some time away from the beer tents. Luna Park funfair is a great place to take a break. It runs alongside the festival and has a wide variety of attractions, with an abundance of playgrounds and rides, and it's great for kids and adults alike. Luna Park opens on the second day of the festival and runs daily from 10am until midnight. If you're bringing kids along, early morning on weekdays is best for beating the crowds, as the park fills up quite quickly later in the day with adults who have enjoyed a beer or two. A word of warning if you are one of those adults: don't take a ride on a rollercoaster when you're full of beer; it's unlikely to end well. If you have a day to spare, you should take the opportunity to go out and explore Munich. It's one of Europe's finest cities, with plenty of history and culture to discover. You can't see it all in a day, but you can certainly fit in some key attractions, like the beautiful Englischer Garten, the amazing Nymphenburg Palace and the impressive Deutsches Museum, which is the world's largest museum of science and technology. Exploring on a holiday to Munich is a great way to take a break from the Bavarian beers for a while, but if you're still in the festival mood, the party atmosphere does continue all the way into the city centre, with its lively bars. Head for the popular central square at Marienplatz and from there you'll find many bars and cafes to enjoy. For food lovers, the Viktualienmarkt gourmet farmers' market is a must-visit. It's open from 8am to 8pm from Monday to Saturday. So now that you know enough about the festival to plan your trip, it's time to get practical and sort out your transport and accommodation. There are many direct flights to Munich operating out of the main UK airports, and you can save a bit of money if you fly out during the week. Accommodation right near to the event can be very expensive during the festival, but there are plenty of great Oktoberfest deals and affordable hotels in the city centre. 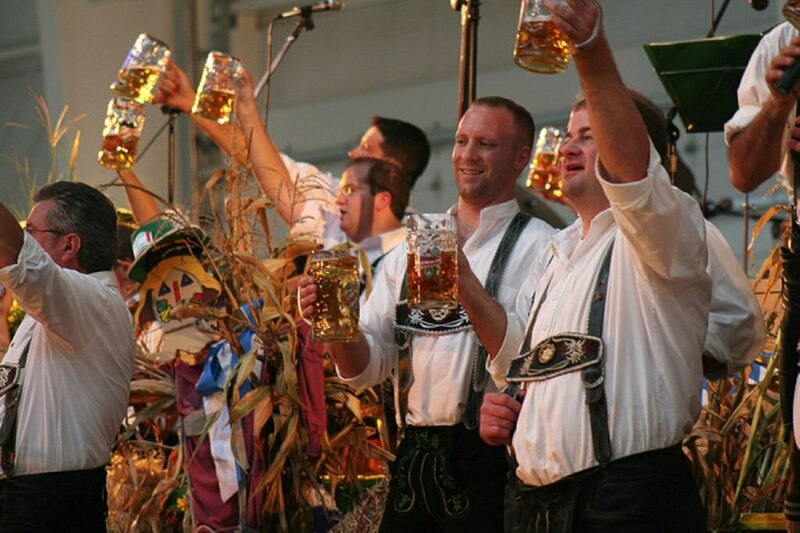 Visit our Oktoberfest page to book your hotels and flights to Munich, and have a wonderful time at the festival! 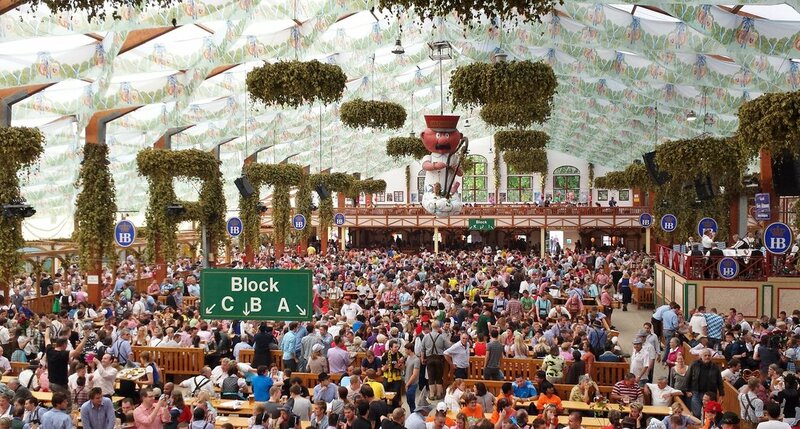 Also check out our top tips for Oktoberfest on a budget.